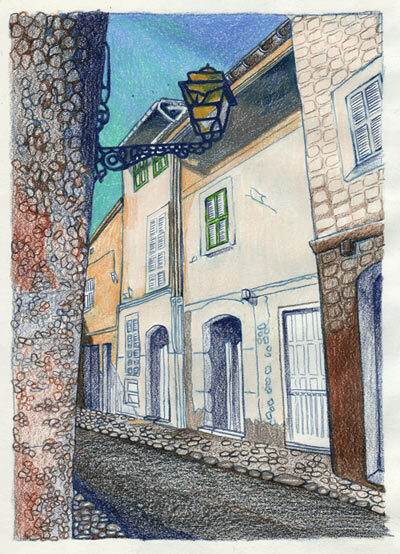 Two sketches of alleys in Mallorca, Spain. 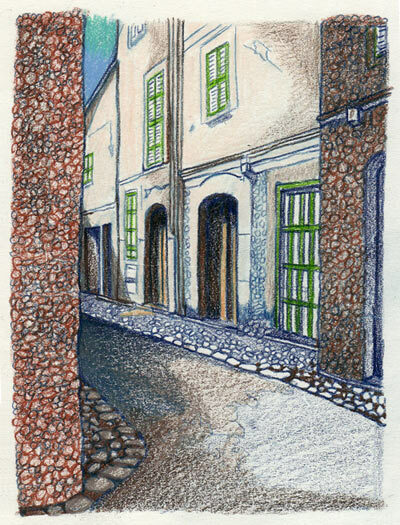 I was there a few years ago and snapped many photos of charming, narrow cobblestone roads. Not sure if I’ll ever finish these drawings. Maybe someday. I like their structure and patterns so far, but am feeling a little bored with the subject.